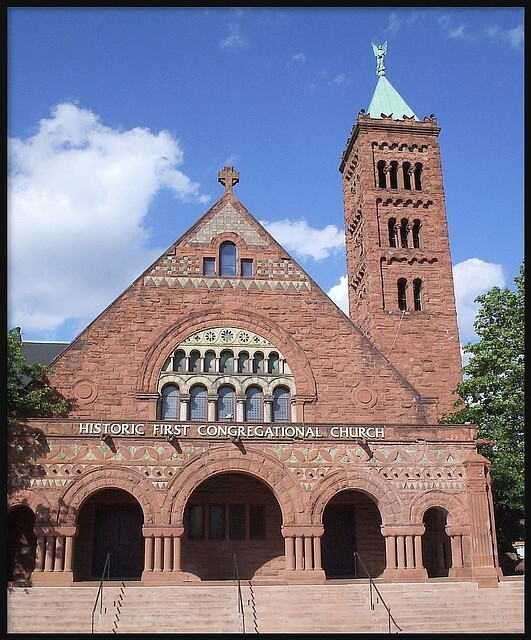 The First Congregational Church of Detroit was established on December 25, 1844. The first two church buildings were near the Detroit River. The church came to its present site in 1891. Today, the beautiful historic structure located at Forest and Woodward keeps the spirit of that original congregation alive. In many ways, the congregation of is as unique as the Romanesque and Byzantine architecture of the building and stands firm in the belief that the Christian life is one of discovery and a dynamic process of growth in faith. The congregation has a long and outstanding history in Detroit and its outreach ministries are as diverse as the multicultural congregation. There is a strong commitment to preserving the church and its presence in Detroit for future generations. Therefore, the First Congregational Church has begun an extensive project to restore the magnificent structure that has graced Detroit’s Woodward Avenue for over 125 years. 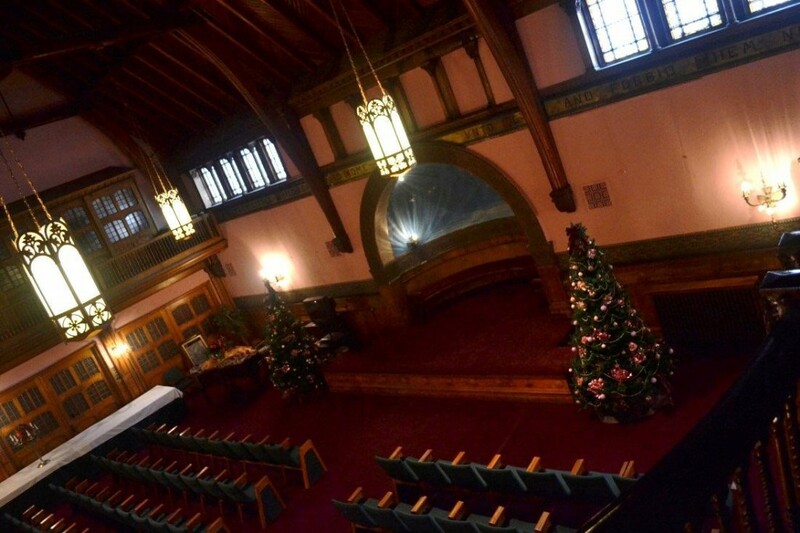 You are invited to explore the history, beauty and unique characteristics of the First Congregational Church of Detroit. First Congregational Church of Detroit was built in 1891 at the peak of the Victorian era. Unlike the plain, small meeting houses of the traditional New England Congregational Churches, this structure was designed with grand ornamentation and symbolism. The architect, John Faxon of Boston, traveled to Europe and patterned the building after churches found in Venice and Ravenna. 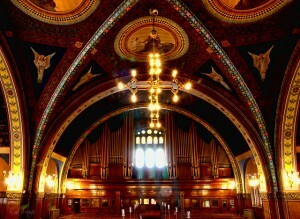 The carved wood, ceiling portraits, rose windows and sumptuous colors of the sanctuary rival anything found in Europe. Prominent among the many symbols are the ceiling paintings of the four evangelists, representing the four Gospels. These paintings were designed and executed by Miss Lyle Durgin, of Boston. 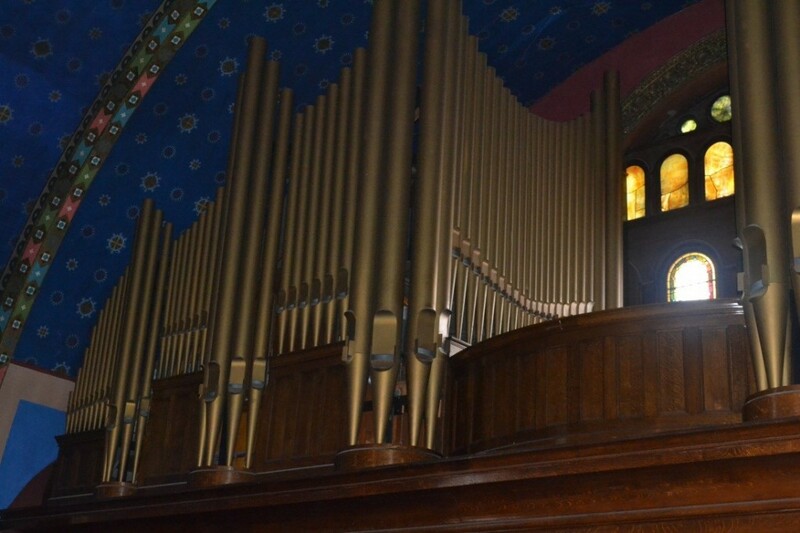 The original sanctuary organ was replaced in 1918 by the current grand instrument that is there today. Built by the Casavant Freres of St. Hyacinthe, Quebec, this organ is one of the largest and finest instruments of its kind. The instrument is actually divided into two organs, one serving the gallery, the other the chancel. Between 1966-67 the organ was rebuilt and completely restored by Joseph Hebert, the man who originally installed the instrument. The Chapel, reminiscent of the Great Halls of England, was completed in 1890 and used for all worship services prior to the completion of the sanctuary. The use of richly carved wood, especially around the windows and the ceiling, is a distinctive feature. The campanile spans 120 feet in height and is topped by an 8 foot, 200 pound copper figure of the Archangel Uriel, who is associated with light. The great door of the campanile is an echo of the door to the Cathedral of Piza, Italy. This addition was designed by the celebrated architect Albert Kahn. The cornerstone was laid in January of 1924 and was dedicated one year later. 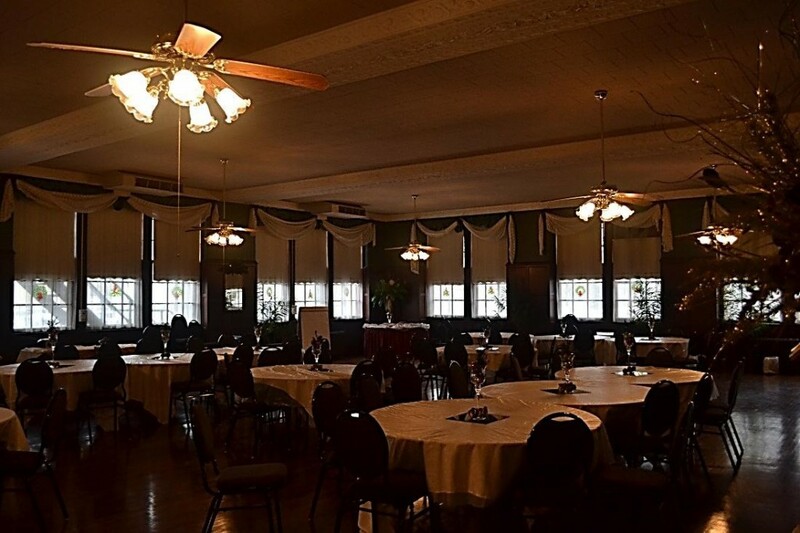 The Community House includes a richly paneled lounge and spacious dining room on the main floor as well as a gymnasium and stage on the lower level. The second story contains classrooms, offices and children’s resource center. In addition to traditional church ministries, special attention is given to the needs of the community. The Outreach Ministry has created several special programs that utilize the Community House. The Hospitality Ministry opens the facility to the public for weddings, funerals, rehearsal space meetings, catering, etc.